Well, color us surprised. The Devel Sixteen’s massive V16 12.3-liter quad-turbo engine is actually real. When a company called “Defining Extreme Vehicles Car Industry L.L.C.” comes out with a car, it’s hard to take it seriously. 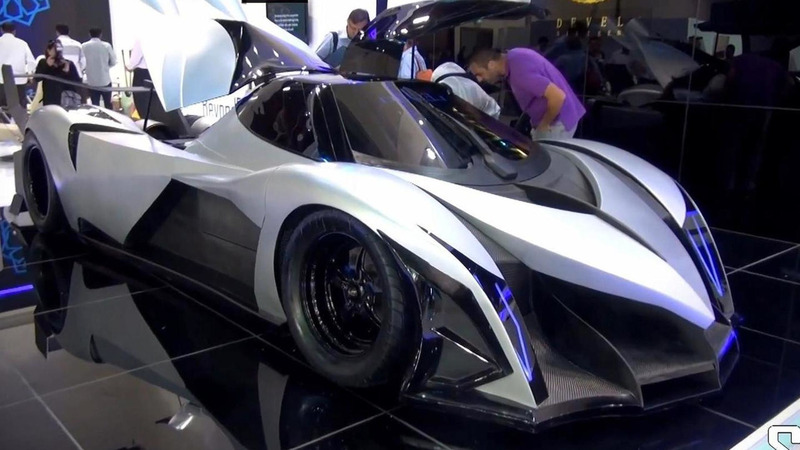 Especially if the car in question is the “Devel Sixteen” powered by a huge V16 engine with a 12.3-liter displacement and no less than four 81-mm turbochargers. The vehicle was unveiled at the 2013 Dubai Motor Show looking like some sort of a Lamborghini Egoista and Veneno mashup. Now, there’s video proof the engine actually exists. 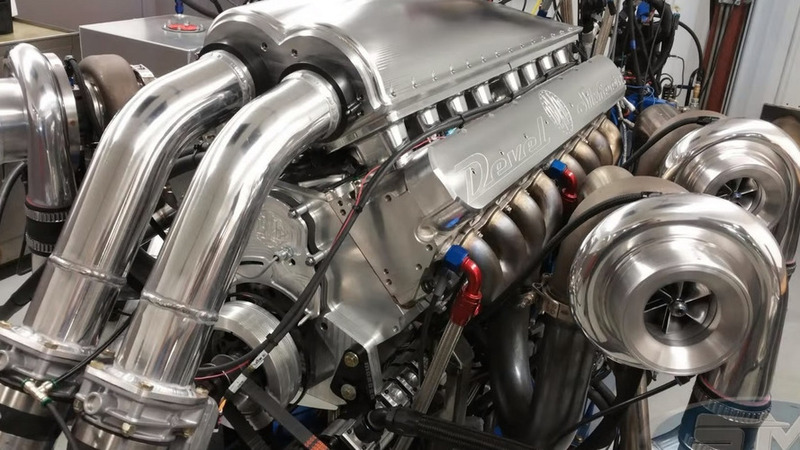 According to Steve Morris Engines, the brains behind the V16, the engine could generate more than 5,000 hp (3,728 kW) if tested on a dyno that can handle all the power. On this one, the motor produced “only” 4,515 hp (3,367 kW) at 6,900 rpm and 3,519 lb-ft (4,766 Nm) at 6,600 rpm. There’s also a “daily use” configuration of the engine good enough for 3,006 hp (2,242 kW) at 6,900 rpm and 2,407 lb-ft (3,260 Nm) at 6,400 rpm. The engine itself is very impressive, but actually implementing it on a production car is not that easy to accomplish given the astronomical power figures. The video doesn’t say anything about the car, so there’s no word about when it will actually be available. Last time we heard, it had a starting price of $1 million, but that was two years ago.